Bahuleyan’s father, Kumaran, a subsistence farmer, belonged to the low-caste Ezhavas. As a child, Bahuleyan was pot-bellied, with a runny nose, and suffered from amoebiasis, chicken and small pox, scabies and typhoid. When Bahuleyan wanted to study in an English-medium school, his father was unable to pay the fees. So he joined the Malayalam government school. One day, after Bahuleyan had completed his Class 7 final exams, he was walking with his father, in front of an English-medium school run by a Brahmin, Harihara Subramaniam Iyer. Thereafter, he secured admission to the Madras Medical College. Unfortunately, the capitation fees of `1,200 had to be paid. His maternal uncle, Padmanabhan, who was well off, sold off a piece of land and gave Bahuleyan the money. “With that sum I was able to attend the first-year classes,” says Bahuleyan. For the second year, Bahuleyean went to Subramaniam Iyer for help. And Iyer did an extraordinary thing. He pawned his wife’s jewellery and gave Bahuleyan `3,000. For the third year, Bahuleyan also did something extraordinary. He got himself engaged, with the help of his father, to the daughter of an affluent liquor dealer. Consequently, Bahuleyan used the dowry money to pay the fees. But once he graduated, he broke off the engagement. “The girl’s father set too many conditions,” says Bahuleyan. His father was deeply offended, and never again spoke to his son. Meanwhile, the state government sent Bahuleyan to do neuro-surgical training at the University of Edinburgh. He spent six years there and returned in 1964. The very next year, he was drafted into the army, during the India-Pakistan war, because the Armed Forces did not have a qualified neuro-surgeon. Following that, in 1968, he immigrated to the US, and finally settled in Buffalo, New York, in 1973. Every now and then he would return to Chemmanakary and would observe that nothing had changed. In 1989, he set up the Bahuleyan Foundation and set aside $20 million for it. His first project was to set up a clinic catering to women and children. Later, Bahuleyan built new roads, improved sanitation facilities, and set up a potable water supply system. In 1996, Bahuleyan established the Indo-American Brain and Spine Hospital in the village. 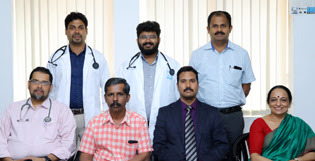 Today, it is a 220-bed super-speciality hospital and one of the premier institutes in south India. In 2004, he set up the Kalathil Lake Resort; the profits are used for charitable works. Apart from that, he also started a nursing as well as a physical therapy college. On the personal front, he had an arranged marriage in 1958, but got divorced in 1968. One child, son Saju, lives in Chicago. 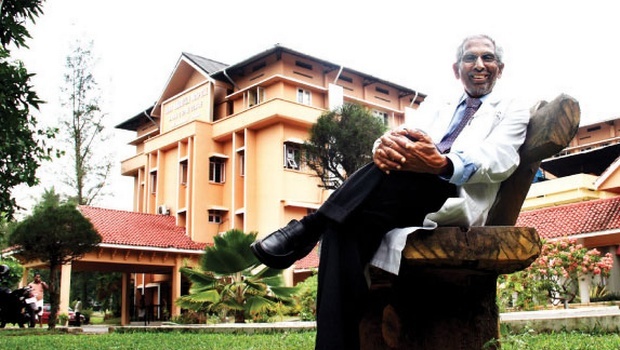 His second marriage to a widow, Dr Indira Kartha, took place in 1985. And, today, at the age of 86, Bahuleyan continues to do surgeries. “By the grace of God, my hands are steady and my brain is fine,” he says. Bahuleyan divides his time between the USA, where his wife lives, and the hospital where he works 24/7. And thus continues the ongoing saga of a most extraordinary Malayali.